This is a super quick and easy rice bowl dish. The combination of caramelised sweet soy sauce and sardine is simply delicious. Mix the soy sauce, mirin and sugar in a small bowl. 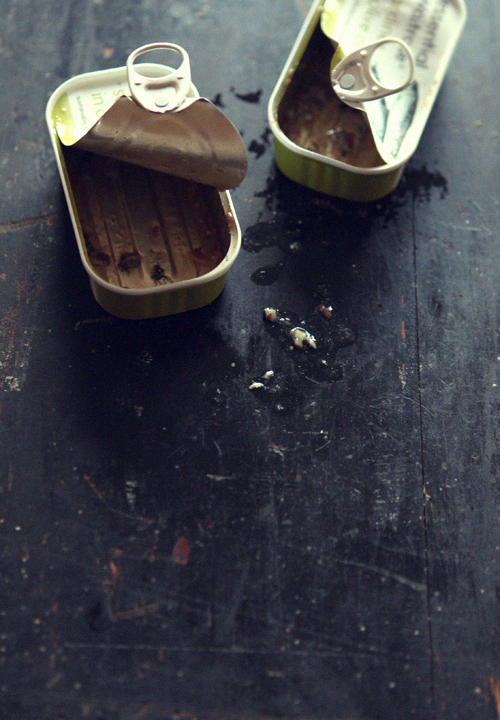 Heat a frying-pan, add the sardines and cook for 1 minutes on both sides over a medium heat. Pour the sauce in the frying-pan, turning the sardines several times to coat well with the sauce, cook until the sauce became thick. Place rice in a bowl, top with the sardines, chopped spring onion and ginger. 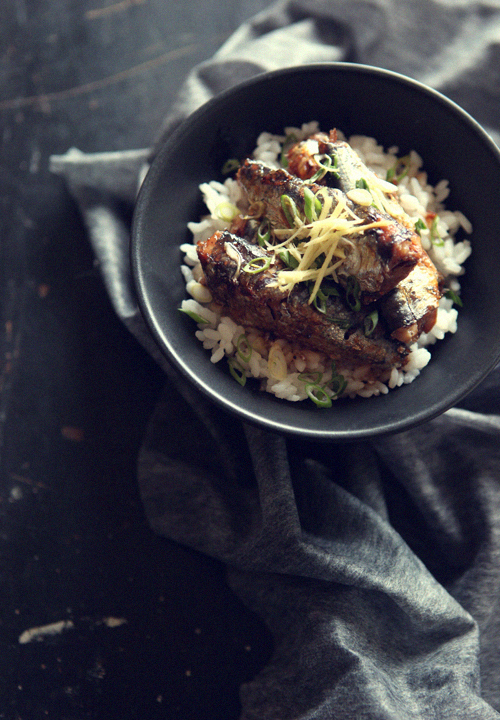 You are currently reading Caramelised Soy Sardine Bowl at Fish Trip Cafe.